At the Massachusetts Envirothon, teams rotate through four ecostations, in addition to giving their Current Issue presentation. Each ecostation has a different emphasis: forests, soil, water and wildlife. When students arrive at each ecostation, the examiners instruct them to get into their distinct teams. Teams listen to examiners for a brief time to become familiar with that station, its questions and any other special instructions. It’s then up to the team to determine their strategy in taking the exam. They can break up and use individual strengths (for example, one or two people focus on species ID, while the others do the written section), or go through the exam as a team. Some questions will require detailed examination which will be helpful in answering later questions. If there is a crowd around a particular resource, decide if you could work on another question and then come back when those students move on. If there is a question you get hung up on, skip it, and come back to it later. Always remember to double check all answers before turning in the exam. 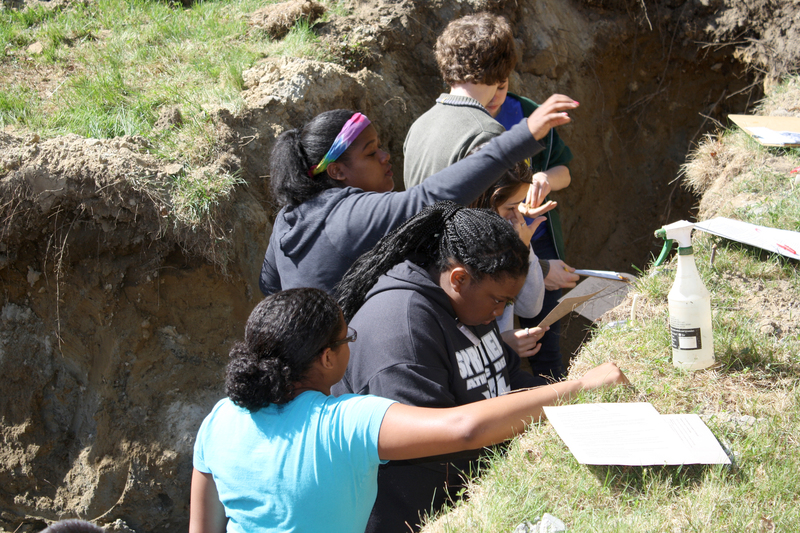 A team analyzes soil at the Soil ecostation. Written – multiple choice, true or false or fill-in-the-blank. Practical – This may include species identification (mammals, reptiles, invertebrates, plants, fish, amphibians, insects, shrubs, trees), questions that are site specific relating to the soils or habitat surrounding the station, and hands on. There will be field guides (Peterson) & other resources available for use by all students. It is imperative that students be very familiar with field guides and how to use them. team work & positive attitude!